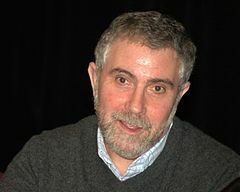 Is Anybody Surprised that Krugman Was Wrong about U.K. Fiscal Policy? Just like in the United States, politicians in the United Kingdom use the deceptive practice of “baseline budgeting” as part of fiscal policy. This means the politicians can increase spending, but simultaneously claim they are cutting spending because the budget could have expanded at an even faster pace. Sort of like saying your diet is successful because you’re only gaining two pounds a week rather than five pounds. Mitt Romney will be the Republican nominee, unless he’s caught with a dead, Muslim, illegal immigrant boy. He will have the difficult task of facing Barack Obama in November. It is no secret that I have my differences with Governor Romney, however for the sake of wanting Barack Obama gone in November, I would like to offer him some free advice. First thing you need to do Mitt is shut up about the sports team owners you know. We know you’re rich and successful in business, but the problem is, Obama is sending out his class warfare zombies in droves. They will use your success as their best weapon against you. Their goal is to paint you as out of touch with the American people. Also, along those lines, shut up about your dog and his road trip on the roof of your car. Second piece of advice, be bold on the economy and fiscal policy. Be specific about your proposals and don’t be afraid to defend them. Don’t sugarcoat the fiscal problems we are facing. Propose bold tax reform including a flatter tax with a lot fewer deductions and credits. Eliminate a department or two. Propose real spending cuts and entitlement reform and more importantly, sell it. Outline a free market approach to healthcare as a replacement to Obamacare. Finally, start going after the Federal Reserve by supporting an audit of it. Third, take a page from the Obama playbook. Set up a version of their “Fight the Smears” web page that they set up in 2008. Eventually Obama and his surrogates will drag the Mormon religion in this race and there needs to be something to address the nonsense they will be putting out. Fourth, stay out of the social issues trap. The left will try to bring up abortion, gay marriage, birth control, and Lord knows what else to try and change the narrative. Yes, address the issues when they come up but don’t let the media trip up the message. The message needs to be about the economy and jobs first. While during these times of financial instability most of our attention turns to Wall Street and Washington, the fiscal policies that our individual governors persue can greatly lessen or worsen the situation within our given states. The Cato Institute recently released their 2008 Fiscal Report Card for American Governors. The criteria is fairly straight forward. Tax and/or spending increases lower the governors’ scores, while tax and/or spending cuts will raise them. It’s almost game time, folks. Vice President Joe Biden will square off tonight in Danville, Kentucky against Rep. Paul Ryan (R-WI) in the only vice presidential debate of the campaign. Given Biden’s propencity for gaffes, Republicans are hoping that Ryan will shine. However, Biden has been locked away for four days doing debate prep and Democrats have telegraphed his role, which will be to relentlessly attack the Republican ticket. [A] new poll finds that Vice President Joe Biden is viewed more unfavorably than his GOP rival, Wisconsin Rep. Paul Ryan. The survey from the Pew Research Center for the People & the Press found that 51% of registered voters see Mr. Biden unfavorably, compared with 39% who gave him positive reviews. Independent voters largely agreed, with 52% seeing Mr. Biden negatively. The Cato Institute has released its biannual Fiscal Policy Report Card on America’s Governors, a useful tool that can help voters determine whether or not their chief executives are acting responsibly when it comes to taxation and spending. The report this year, authored by Chris Edwards, should come with some interest, given that some of the governors graded in this round ran on Tea Party-themed platforms. This is the first real look into whether or not they’ve delivered on the rhetoric they espoused on the campaign trail. That’s right, folks. Forget about the “fiscal cliff,” budget deficits and the national debt. The terrorist attack on the United States consulate in Benghazi, Libya, which took the lives of four Americans, including Ambassador Christopher Stevens, is also nothing about which to be concerned. According to President Obama’s campaign, the biggest, most pressing issue facing the United States is Big Bird. Some of my friends who know I heavily follow politics ask me about the presidential race, saying that I “must love this stuff.” Actually, no, and the reason why are memes like this. It’s annoying and a distraction. That’s not to say that it’s not a smart move from President Obama’s campaign when it all comes down to it, but the ad just contributes to the continuing absurdity of American politics, which is coming from both the Left and the Right. We’re all dumber because of it. Just like in 2008, the Club for Growth is putting together a series of white papers on candidates running for the Republican Party’s presidential nomination. They’ve already looked into Newt Gingrich. The next candidate to go under their microscope is Tim Pawlenty, the former Governor of Minnesota. The Club notes that Pawlenty was strongly supportive of lower taxes as a state legislator, but that his record on that issue wasn’t entirely clean. As Governor, his record seems to be mixed; he supported maintaining some existing taxes that were supposed to expire. He also backed a corporate tax hike. However, they note that Pawlenty vetoed $7.5 billion in tax increases. According to the report, Pawlenty did a good job in keeping spending hikes down and his support of a Balanced Budget Amendment to the Constitution. However, Pawlenty doesn’t get away with accepting stimulus funds or supporting reauthorization of SCHIP. Pawlenty’s record on free trade and entitlements are mixed; though I should note that he just came out with a Medicare reform proposal. The Club also hit him pretty hard on regulation, noting that he supported increasing the minimum wage and cap-and-trade (a position that he has recanted). Standard & Poor’s Ratings Services downgraded Greece’s credit rating Monday, dealing another blow to the debt-laden European nation. S&P lowered its long- and short-term ratings on Greece to B and C, respectively, from BB- and B previously. The ratings remain on credit watch with negative implications. S&P’s downgrade “reflects our view of increasing sentiment among Greece’s key euro-zone official creditors to extend the debt payment maturities of their €80 billion of bilateral loans pooled by the European Commission,” the rating agency said in a statement. As part of this, S&P believes the euro-zone creditor governments would likely seek “comparability of treatment” from commercial creditors in the form of their similarly extending bond and loan maturities.